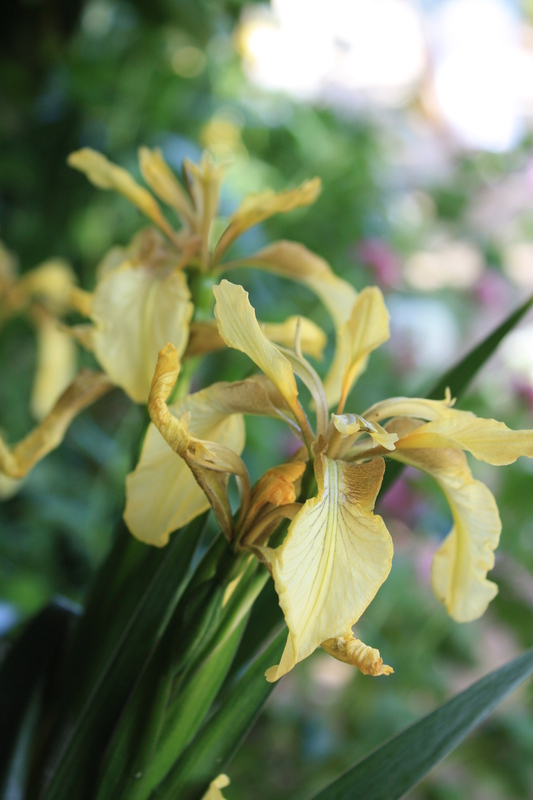 Iris foetidissima is one of only two irises which are native to the UK. A hardy perennial, it’s better known by a variety of common names based on the unpleasant smell of the bruised leaves – ‘Stinking Gladwyn’ is one of my favourites. But fear not, there are no nasty niffs under normal circumstances. Until the weekend I was only familiar with the wild form, which has rather inconspicuous purple-grey flowers. Iris foetidissima var. citrina is a garden form with distinctive antique-yellow flowers held above sword-like leaves. Both forms are incredibly tolerant of dry, heavy shade, bearing bright orange berries in autumn and winter. Pictured here at Whitstable Castle, Kent.